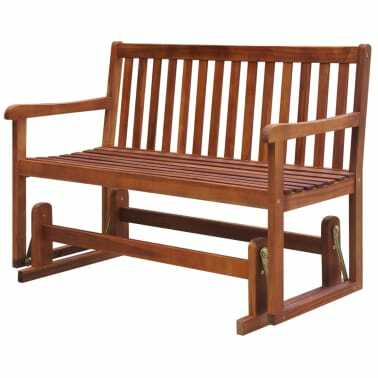 This porch glider has timeless design that will add a touch of rustic style to your garden or patio. 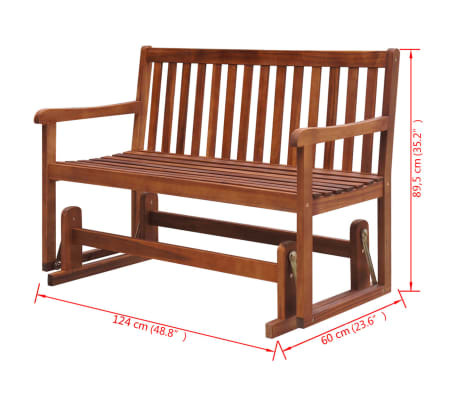 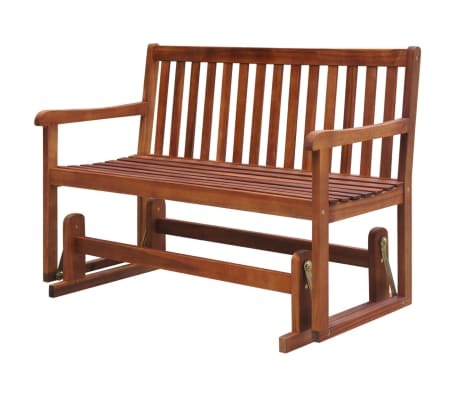 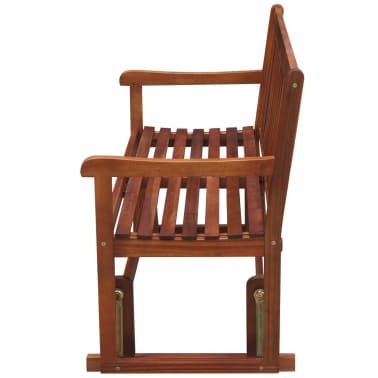 Made of high-quality acacia wood, this swing bench is weather-resistant and highly durable. 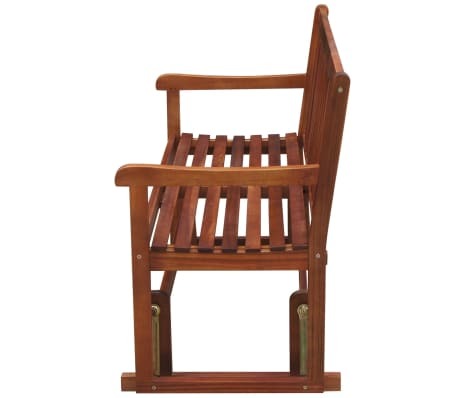 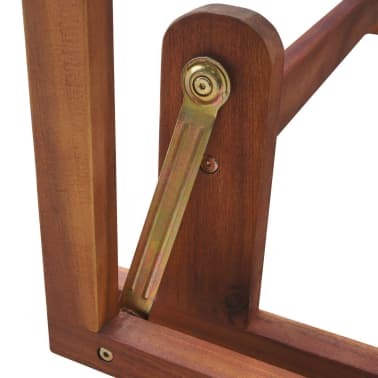 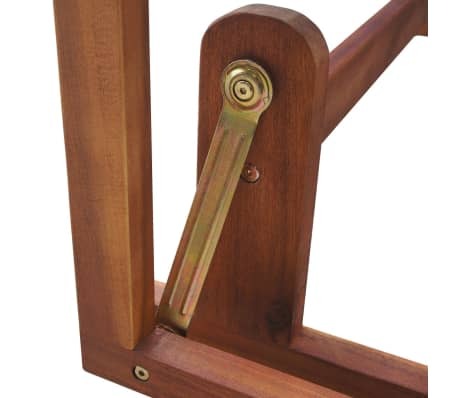 This porch glider allows you to rock back and forth on the rocking mechanism and seats up to two persons. 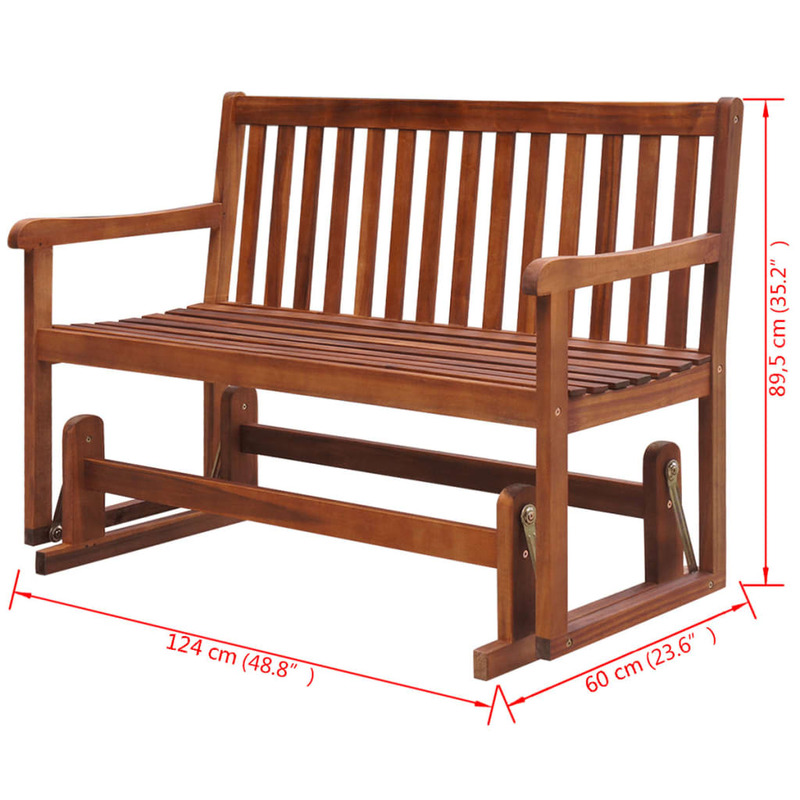 You will enjoy gently swaying in the summer breeze! Our swing bench will be a perfect choice to complement your outdoor living space.